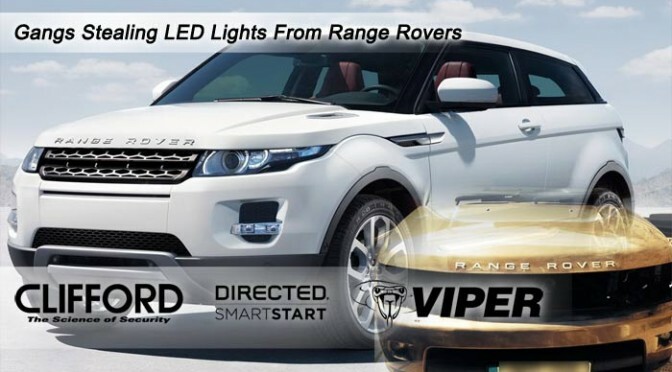 Police reports indicate that criminal gangs are stripping LED lights from luxury Range Rovers and using them to grow illegal drugs. Police have issued a warning to luxury car owners reporting a spate of thefts of headlights from Land Rover and Range Rover models, which are then sold to drug dealers who use them to help grow cannabis. This problem has become so bad in some parts of the UK that police have launched an operation to advise car owners how best to protect their vehicles from thieves. Please contact an authorised Clifford alarm dealer to advise you on how to avert this problem – there are a variety of alarms and devices made to secure your car against this type of theft.